Even before Robotech came out I was already a fan of Macross. So I got surprised when somebody told me that the US version was different from the original series. And that the entire Robotech Franchise was just 3 Japanese cartoon series that had no relation to one another and was joined to create it. Still, I enjoyed watching the succeeding Robotech series that came after Macross despite the fact that the stories had changed already because the Robotech owners had spliced and chopped the individual series to suit their needs. The Robotech Master's series was originally titled Super Dimensional Cavalry Southern Cross in the Japanese series. It was created by the same studio as Macross, hence the similarity and the use of the Super Dimensional title. Robotech Next Generation was taken from the original Genesis Climber Mospeada cartoon. Was looking for a DVD of the series and chanced upon one in Amazon, the great thing about it is that its a two for one. 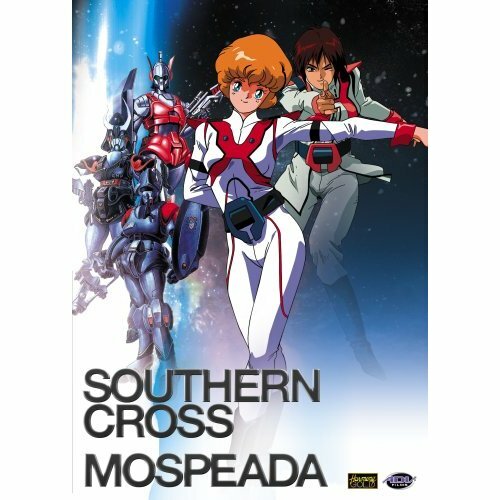 Meaning that the Southern Cross and Genesis Climber Mospeada series comes in just one disc set.